Phylis Odindo is joyful despite the loss of her leg. A sharp pain shot up Phylis Odindo’s right leg in 2017. The pain grew unbearable, and she thought she would die. 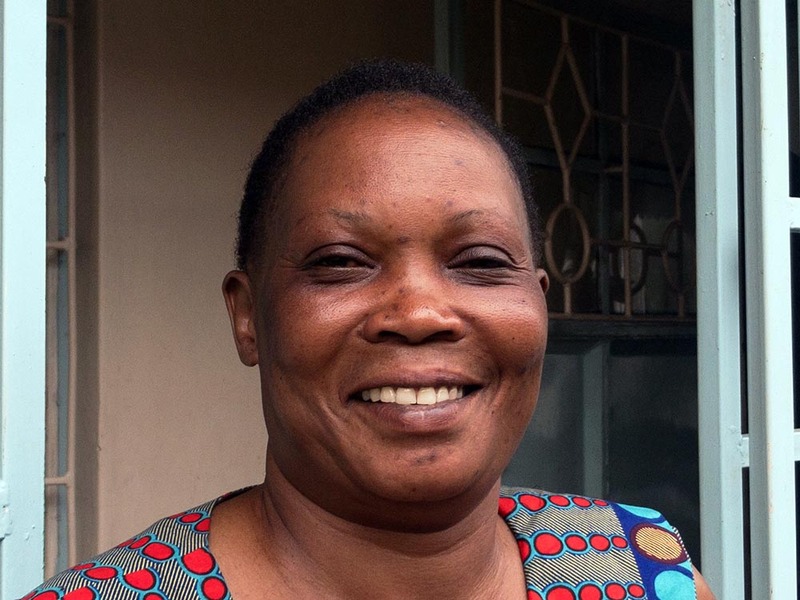 Phylis went to the main government hospital in Kisumu, Kenya, but no one could help. The medical staff were on strike. 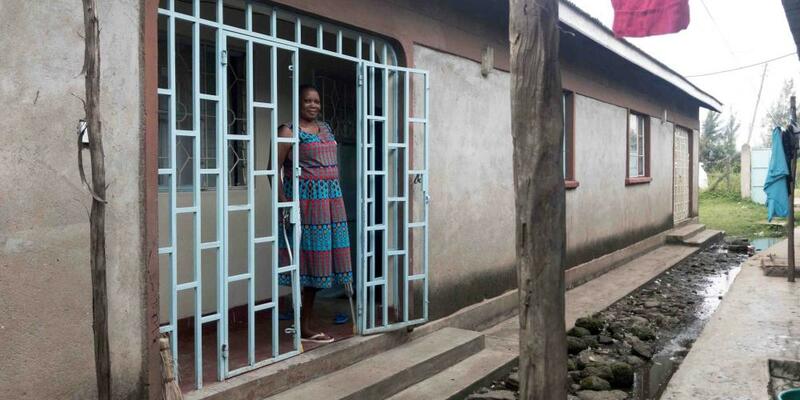 With no money and few options, Phylis sought treatment at a small clinic. The doctor didn’t have the medical equipment to do an X-ray or an ultrasound. He looked at her leg and recommended that it be amputated. Phylis didn’t want to lose her leg, so she returned home. But the pain didn’t subside, and she went back to the clinic. The doctor amputated her leg just below the knee. Three weeks later, Phylis fell very ill. She couldn’t move. She went to the main hospital for an X-ray. The doctor declared that the wound on her leg had started to rot. It had spread far above her knee. He called for a second amputation. Phylis was hospitalized after the surgery. Her health deteriorated so much that she lost hope. She called Anna, the women’s ministry director at her Kenya-Re Seventh-day Adventist Church. Anna took one look at Phylis and felt certain that she was at death’s door. Phylis asked Anna to pray for her. After the prayer, Phylis felt stronger and asked Anna to keep praying for her. Anna agreed and gave her something to drink. The next day, Anna returned to visit and brought along several other women from the church. They returned the next day, and the next. The church pastor and elders also visited to offer encouragement and prayer. “Have mercy on me, O God, because I have only one son,” she prayed. Her young adult son, whom she had raised alone, had left the Adventist Church after her husband died 11 years earlier. Among other things, he was disappointed with his father’s relatives for seizing his mother’s house and all their possessions after the death. In parts of Kenya, the wife is held responsible for the husband’s wellbeing, and she is blamed if he dies. As Phylis prayed in the hospital bed, she realized that God could come to the rescue of the person who has lost all hope. The church members visited her every day during the three months that she stayed in the hospital. They helped her pay the medical bills and obtain health insurance. When she returned to her rented home, the church members continued to visit regularly and help with her daily needs. Then something amazing happened. Eight hospital patients asked to be baptized. They were so touched by the compassion shown to Phylis that they wanted to join her church. After that seven married couples living in Phylis’ neighborhood asked to be baptized. They also were touched by the church members’ care. When Phylis’ mother came from across the country to visit, the women’s ministry department from the Kenya-Re church threw a surprise prayer breakfast for Phylis in her home. Phylis’ mother, a staunch member of another Christian denomination, was so impressed that she resolved to become an Adventist. She and one of Phylis’ sisters later were baptized. Making Phylis’ joy complete, her son was baptized and got married at the Kenya-Re church in 2018. In all, 25 people have been baptized since Phylis lost her leg. Phylis, 45, thinks that is a wonderful exchange. Part of the Thirteenth Sabbath Offering in fourth quarter 2019 will help construct a Seventh-day Adventist hospital in Phylis’ hometown, Kisumu. Miracle Bananas From Man in White Hood Little Albert wanted bananas, but Mother didn't have the money. Saved by Non-Christian Holy Book In Elijah’s four decades of life, no one had ever preached to him about Jesus.